Can you believe we are already more than halfway through the school year? Time really does fly when you are having fun! In the midst of this busy time of year, students have taken some time to reflect on our White Oaks Way Expectations. I visited each classroom this week to review our expectations and brainstorm ways we can continue to solve problems. I am so proud of our students for making choices both in class and on the playground that are respectful, responsible and safe. Please see the message below from our school counselor, Laura Macfarlane, about the social/emotional skills being taught this month. Your children are learning social and emotional skills through regular classroom lessons and reinforcement throughout the school day. Currently, the second and third graders are learning about empathy - what it is and how to put it into action. One of the ways to practice empathy is to be an upstander. The students are learning to recognize opportunities where they can be upstanders and what to say and do in those situations. Here are some resources that we are using at White Oaks in our discussions about empathy and being upstanders. 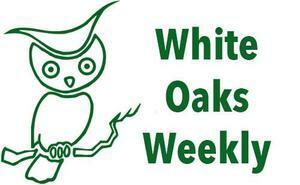 White Oaks PlayPod Volunteers Needed! The White Oaks Playpod provides students with a unique area of play during lunchtime recess. The Playpod is open on Tuesdays, Thursdays and Fridays and we need volunteers to help monitor students. Please click here to sign-up. Questions? Contact Jen Pedrotti. Thanks to funding from the City of San Carlos, SCSD is going to get two new crossing guards at the following locations: San Carlos Ave./Wellington and Club Drive/Exeter. If you know of a neighbor or relative who may want to apply to help out a few hours each school day, please contact All City Management Services at (800) 540-9290 or visithttp://acmssafety.com/employment/. SCEF Online Teacher Outing and Summer Camp Auction starts Feb. 4th at 9am! Start bidding on February 4th at 9am. Bidding ends February 12th at 10pm. Lucky on Live Tickets Are on Sale Now! This is your chance to win a fabulous live auction item! Purchase a Lucky on Live raffle ticket. The lucky winner will choose from a selection of Starlight Gala live auction items. This year’s offerings include: Your own parking space downtown, Trip to NYC and the Tony Awards, Mexico Vacation, Dinner for 20 in the TOWN boardroom and more. See:http://www.scefkids.org/LOL2019 for the complete list. Enjoy an adult night out with dinner, dancing, an exciting Live Auction and Silent Auction. Make a plan with a few of your favorite couples and buy a table. Create some memories and support our schools. On March 9, 2019 at Sharon Heights Country Club. Get your tickets before they’re gone at: www.scefkids.org/events.